Hitarth Rathod of Class XI, Anand Vidya Vihar cleared the Second Stage of National Talent Search Examination (NTSE) conducted by National Council for Educational Research and Training. The first stage is conducted by the State Board and the second stage is conducted by CBSE, New Delhi. 1000 students from all over India are selected every year and a scholarship of Rs.500/- is given to them by the Government till they complete their education. Kishore Vaigyanik Protsahan Yojana (KVPY) is a scholarship program funded by the Department of Science and Technology of the Government of India, aimed at encouraging students to take up research careers in the areas of basic sciences. It offers scholarship and contingency grants up to the pre-Ph.D. level to selected students. Started in 1999, it is administered by the Indian Institute of Science, Bangalore. 19 students from our XI and XII standard, had taken up this prestigious examination and 3 of them have cleared the first level. Congratulations to these winners and best wishes for their future endeavors. Amisha Panchal, student of class XI, has been selected for a year programme to Germany by AFS organization. She will be leaving in the first week of September, and would be staying there with a German family and going to the local school. According to her, "Strong connections are made amongst the participants, host family and other people they meet during this program. By the time I return, I will proceed with a fresh and newly motivated perspective, a heart strong enough to face challenges, knowledge of what seemed a dream till now, and a mind open for new arguments and definitions." Two students, Ravin Mehta (XI) and Achala Agarwal (X) were selected for JENESYS programme, one year and 15 days programme respectively, to Japan, by AFS (American Friends Society). 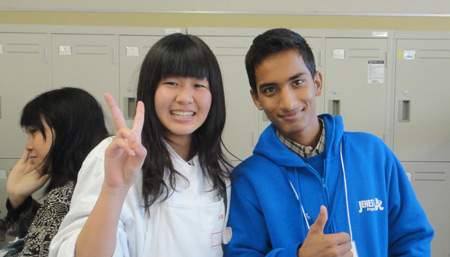 Ravin Mehta has been hosted by a Japanese family in Nagoya and goes to the same prefecture school. Atul Nair, student of class XI participated in Youth Festival 2011, organized during Swarnim Gujarat. He secured first prize in Carnatic Classical Music at Zonal, District and State Level and also secured third position at National Level. Once again AVV students stole the limelight by getting selected for a 100% scholarship, 15 days programme to Japan through American Fields Service (AFS) and Japan Government's JENESYS programme, from 1st December till 15th December 2010. They visited Tokyo, Chiba, Hiroshima, Kyoto and their host families' prefectures. Shikhar Chokshi of IX A captained the Gujarat team in the school nationals held at Nasik. 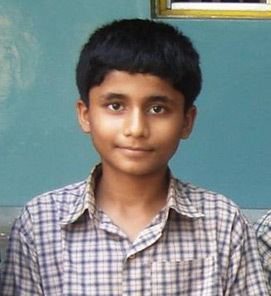 He played the CBSE Nationals and came in the top 16 category in India. He was felicitated by the Gujarat Chief Minister and received cash prize of Rs 5,000 for becoming the Baroda district champion. He won the silver medal at recently held Khel Mahakumbh in U-16 category. 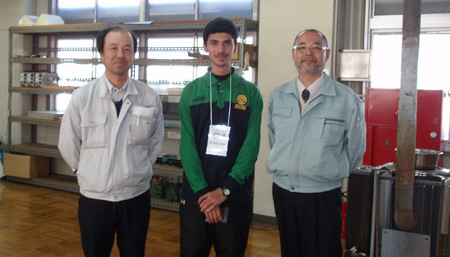 Three students of AVV got selected for 15 days Jenesys programme to Japan, by American Field Service (AFS). They are Sudhanshu Dabral (X), Asad Kadri (X) and Yashaan Cooper (XI). They will be traveling to Japan from first week of December 2010. 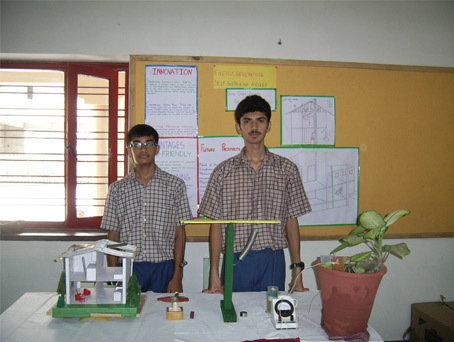 Students of Anand Vidya Vihar, a CBSE Senior Secondary School have won laurels at the recently held, CBSE Regional Level Science Exhibition competition, on 3-4 Sept 2010, at Mayur School, Ajmer. Jay Asher of Class XI and Darshil Shastri of Class X, have made it to the Nationals from among 49 competing schools. 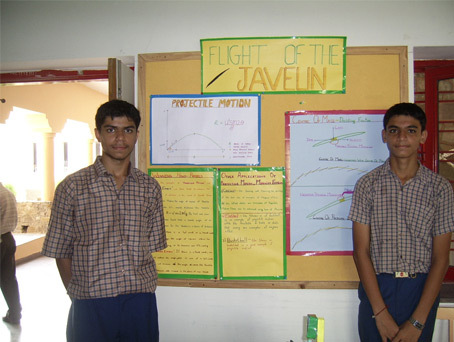 The project was, Flight of the javelin, based on projectile motion. This project combined the art of Science and Maths with Sports. Out of nearly 100 exhibits only 15 were selected for the National, one of them was from Anand Vidya Vihar.